The following are images of a chasuble that belonged to Bishop Edward Dominic Fenwick, O.P. 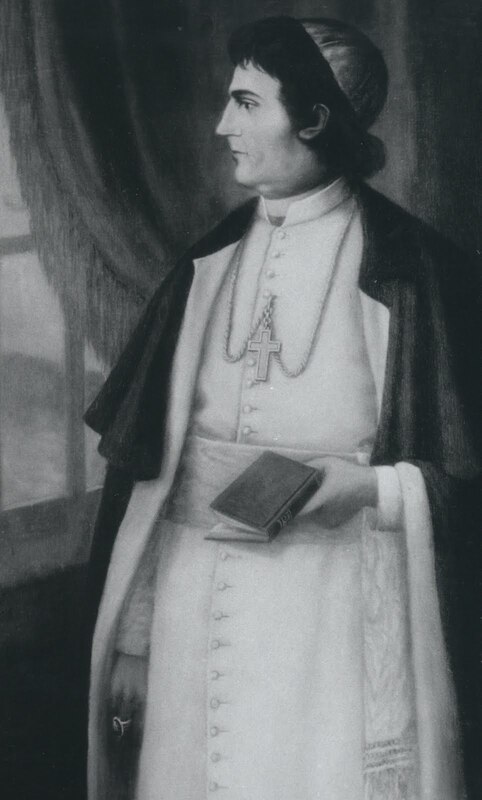 (1768-1832), the first Bishop of the Diocese of Cincinnati, who served in that capacity from 1822 until 1832. 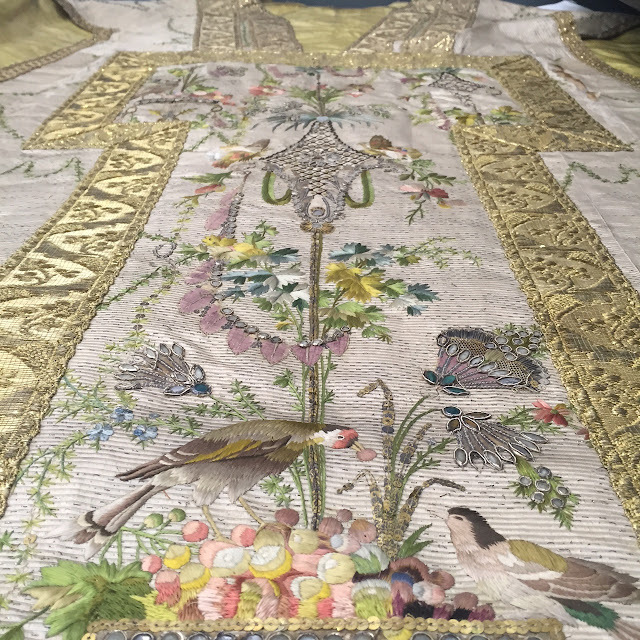 The chasuble is made of silk with silver thread and includes embroidered flowers, butterflies and birds (finches) in its design. 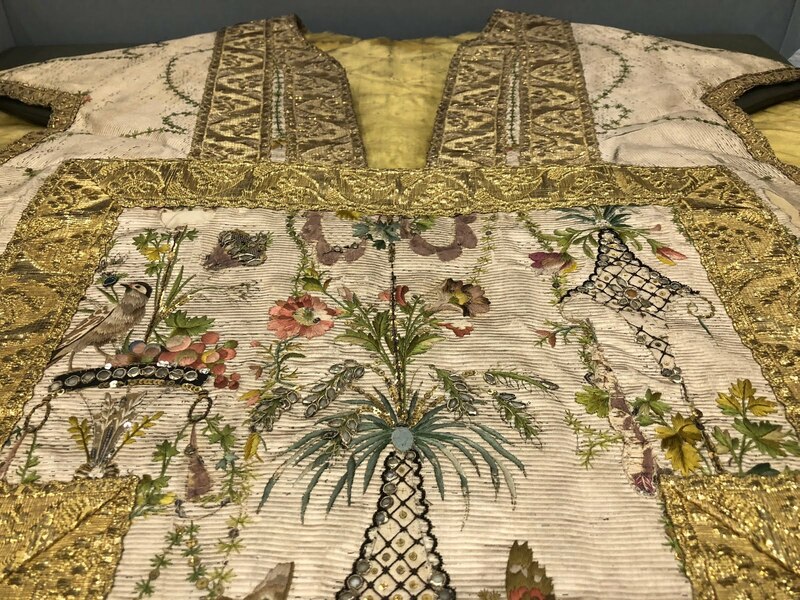 These inclusions show forth an example of vestment design coming from a period which had a much broader sense of design and ornament than would be the case in the later 19th and 20th century. 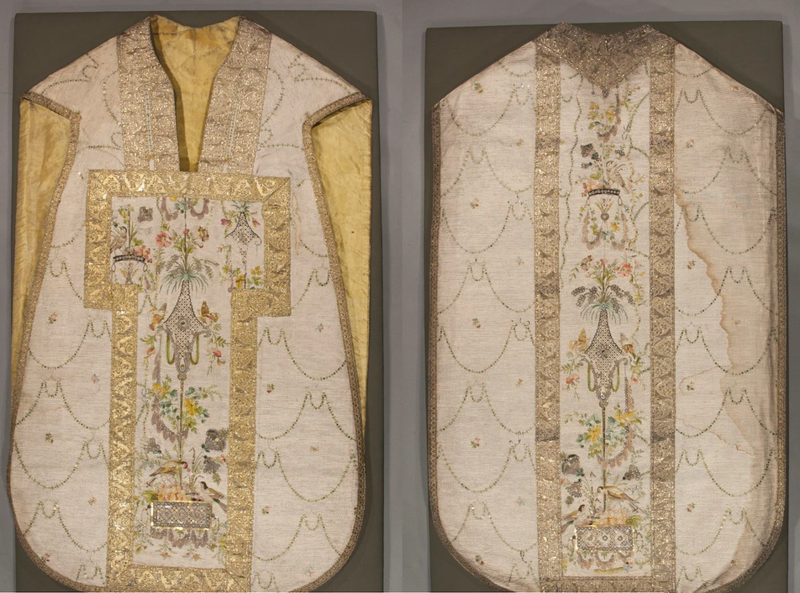 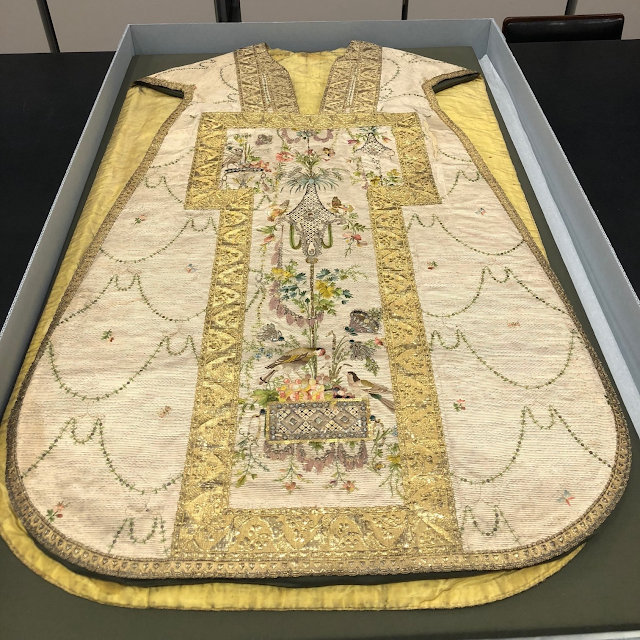 LAJ would like to that the Archdiocese of Cincinnati archives, Sarah L. Ater, M.L.S., for these photos and for information on the vestment.